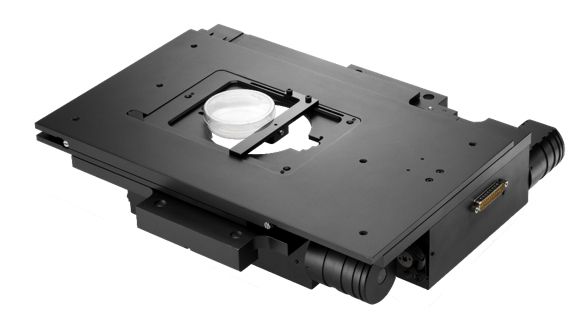 Prior Scientific’s H117 motorised precision stage was used in a study comparing the characteristics of traditional fluorescent probes with SERS NPs, in which the two methods were used to fluorescently image both live and fixed cells. Interest in using SERS NPs rather than traditional fluorescent tags in biological imaging is growing, due to the nanoparticles’ stability and the narrow spectral features that they display. Maria Navas-Moreno and colleagues at the University of California Davis Centre for Biophotonics compared fluorescent probes and SERS NPs, showing that the two methods produced similar results in fixed cells, but dramatically different patterns when used on live cells. This research, published in Scientific Reports, demonstrates that unexpected cellular interactions with nanoparticles must be taken into account, before using SERS as an alternative to traditional probes. A home build Raman microscopy system, incorporating an H117 stage, was a key part of this system. Especially important from Maria’s view was that the H117’s large travel range (114 x 75 mm) ensured that a large field of view was easy to image. Manuj Patel, Global Strategic Marketing Manager for Prior Scientific, says: “The H117 stage is frequently the stage of choice for live cell imaging, as it offers a combination of speed, easy integration into numerous imaging packages via the ProScan III control system, and precision positioning, with a repeatability of just 0.2 um, and a metric accuracy of 0.059um/mm.